Martin County Woman Killed In I-95 Crash In Jupiter | Schuler, Halvorson, Weisser, Zoeller & Overbeck P.A. A Martin County woman died after losing control of her car and rolling several times on Interstate 95 in Jupiter, according to the Florida Highway Patrol. A 46-year old driver was driving north in a 2012 Jaguar XF on I-95 south of Indiantown Road. Records indicate the driver was from Old Forge, PA. Authorities say she lost control and the left side of her car smashed into the right side of the 2016 Chrysler 200 that a 55-year-old woman of Port St. Lucie was driving. The Jaguar rolled several times before going onto the grass on the right shoulder of the interstate, according to authorities. The 46-year old driver died at the scene. Highway officials said she wasn’t wearing a seat belt. The 55-year old driver was wearing her seatbelt. 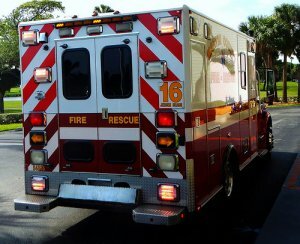 She was taken to Jupiter Medical Center with minor injuries. Authorities are investigating whether alcohol was a factor in the crash.